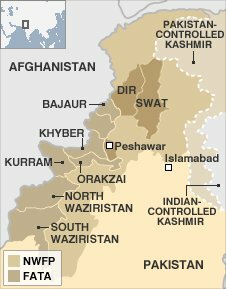 A senior security source in Pakistan has told the BBC that civilians were killed in Saturday's air strike on a village in the Khyber tribal region. This contradicts the army's initial denial that there were civilian deaths. He said he could not be sure of the exact number who died in the attack on the village close to the Afghan border, but it could be more than 30. According to the security source, the first strike was on militants gathered in a hilltop compound. He said that more than 30 militants were killed in that strike, which was carried out by the air force. A second round of bombing then followed. Critically, this was after local people had rushed to the scene to remove the dead and assist the wounded. The source said there was no confirmed death toll in this strike, but more than 30 civilians may have died. A local official told the BBC on Tuesday that at least 73 civilians were killed, including women and children. He said the military had tried to gag him in an attempt at damage limitation. Survivors speaking in hospital in Peshawar say there were no militants in the area, only civilians. "When the first bombing took place we rescued some ladies," said Dilla Bhaz Khan, a wounded resident. 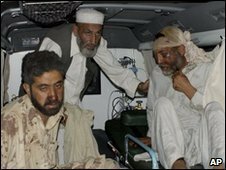 "After that when the second bombing started we were busy rescuing the other victims. "There was no Taliban and no militants. All the people who were living there are government employees. One of them was an army man." Locals say the airstrike hit the house of a tribal elder, whose own sons fight against the Taliban, as part of the local paramilitary force. They say that the village has always resisted the militants, building its own defences against them. The military regularly claims to have killed large numbers of militants in airstrikes and ground operations. These claims are often impossible to verify because the targets are in areas that are closed to the media. It has taken several days for full details of Saturday's strike to emerge, and for journalists to get access to survivors. If the army now has to admit such a heavy loss of civilian life, its credibility will be damaged and awkward questions are bound to follow.